Emil Helge "Edward/Ed" Bohlin was born May 12, 1895, in Vintrosa Parish, Örebro Co., in the middle of Sweden, and died May 28, 1980, in Los Angeles, Los Angeles Co., CA, at age 85. Buried in Inglewood Park Cemetery, Inglewood, Los Angeles Co., CA. He is the son of the hussar Gustaf/Gustof Bohlin of Kräcklinge Parish, Örebro Co., Sweden, an officer in the Swedish Royal Guard Regiment, and Augusta Karlsson or Larsson of Hidinge Parish, Örebro Co., in the middle of Sweden. Leana Maria Freeberg was born February 25, 1898, in Pompeys Pillar, Rosebud Co., MT, and died December 12, 1918, in Cody, Park Co., WY, at age 20. Buried in Miles City Cemetery, Miles City, Custer Co., MT. She is the daughter of Sven Larsson Freeberg of Fröbbestorp, Torsas, Kalmar lan, Småland, Sweden, and Hilda Sophia Karlsdotter of Visseljerda, Kalmar Lan, Smaland, Sweden. 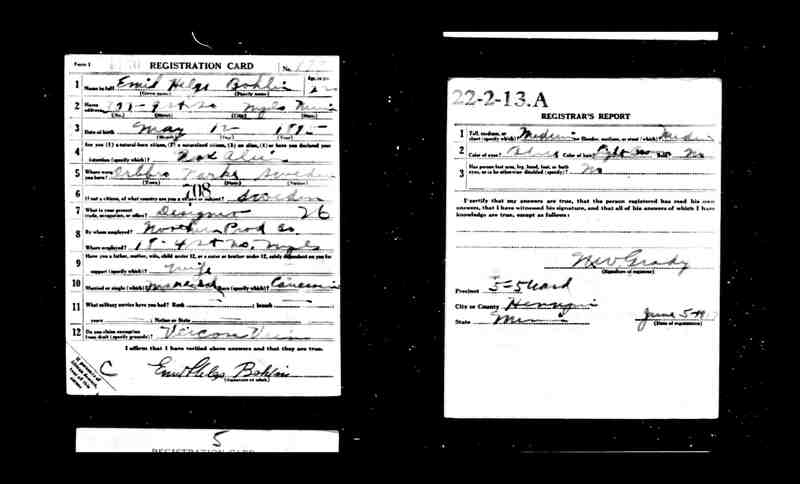 Emil Helge "Edward/Ed" Bohlin emigrated February 4, 1914, from Gothenberg, Sweden, aboard S. S. New Sweden and arrived in the Port of Philadelphia, PA, on April 11, 1914. Emil Helge "Edward/ Ed" Bohlin departed from Christiansend in the late summer of 1912, and after a voyage of 28 days disembarked at Newport News. He traveled to Minnesota and spent the winter working as a farmhand. In the spring of 1913 he went to Miles City, MT, with a letter of introduction to Örebro citizens who had previously fled economic depression in Sweden. By the time he left Miles City, MT, about 1916, he was a seasoned cowboy. His travels eventually about 1916 drew Ed to Cody, WY. He is the son of Gustof Bohlin and Augusta Larson. 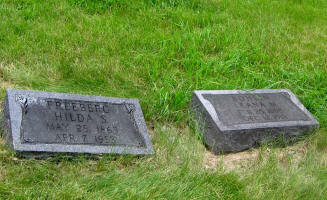 Emil Helge "Edward/Ed" Bohlin and Leana Maria Freeberg were married February 14, 1917, in Miles City, Custer Co., MT. Lillian E. Bohlin: Born September 5, 1917, in Minneapolis, Hennepin Co., MN; Died October 30, 2000, in Seattle, King Co., WA (age 83). Married April 11, 1936, at the Church of the Open Door, Seattle, King Co., WA, to Volney Llewellyn Pinkerton: Born April 20, 1914, in Duvall, King Co., WA; Died July 4, 2010, in Seattle, King Co., WA (age 96). Emil Helge "Edward/Ed" Bohlin then married Mrs. Harriett Sweem. Harriett Unknown was born Unknown and died Unknown. Emil Helge "Edward/Ed" Bohlin and Harriett (Unknown) Sweem were married November 20, 1920, at the Presbyterian Manse, Cody, Park Co., WY. The marriage was brief. Emil Helge "Edward/Ed" Bohlin then married Lillian S. "Lilly" (Holm) Madden. Francis Porter "Frank" Madden was born December 31, 1899, in Caldwell, Canyon Co., ID, and died July 6, 1961, in Sonoma Co., CA, at age 61. Buried in Odd Fellows Memorial Park, Santa Rosa, Sonoma Co., CA. He is the son of Merritt Kelly Madden of Idaho, and Emma Etna Fuller of Kansas. 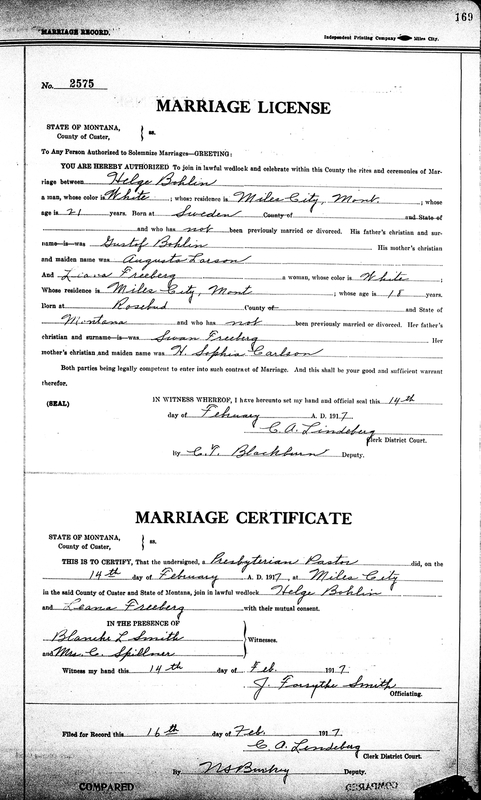 Francis Porter "Frank" Madden and Marguerite D. Ougheltree were married February 24, 1920, in Boise, Ada Co., ID. Lillian S. "Lilly" Holm was born October 6, 1892, in Los Angeles, Los Angeles Twp., Los Angeles Co., CA, and died October 22, 1985, in Los Angeles, Los Angeles Co., CA, at age 93. Buried in Inglewood Park Cemetery, Inglewood, Los Angeles Co., CA. She is the daughter of Ferdinand Holm and Emma Carlson, both of Sweden. In 1930 she was listed as being divorced. Ferdinand was a Farmer. 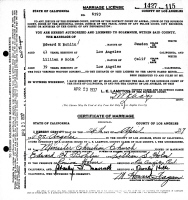 Francis Porter "Frank" Madden and Lillian S. "Lilly" Holm were married October 29, 1926, in Santa Ana, Orange Co., CA. Francis Porter "Frank" Madden and Lillian S. "Lilly" (Holm) Madden had no children. 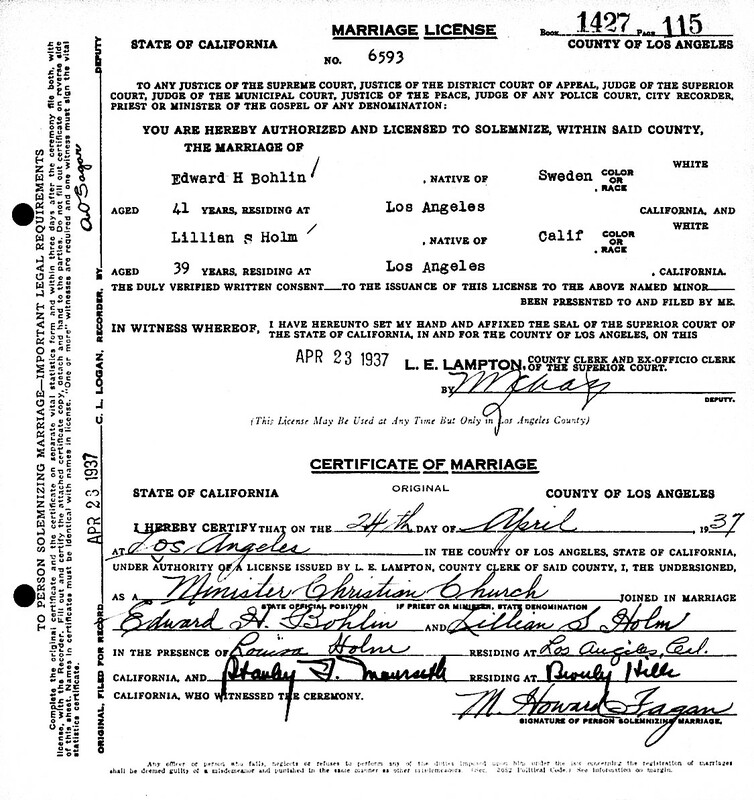 Francis Porter "Frank" Madden and Lillian S. "Lilly" (Holm) Madden were divorced before 1928 in California. Francis Porter "Frank" Madden and Maurine Wright were married September 14, 1928, in Vancouver, Clark Co., WA. Francis Porter "Frank" Madden then married Annie Margaret Bowie. 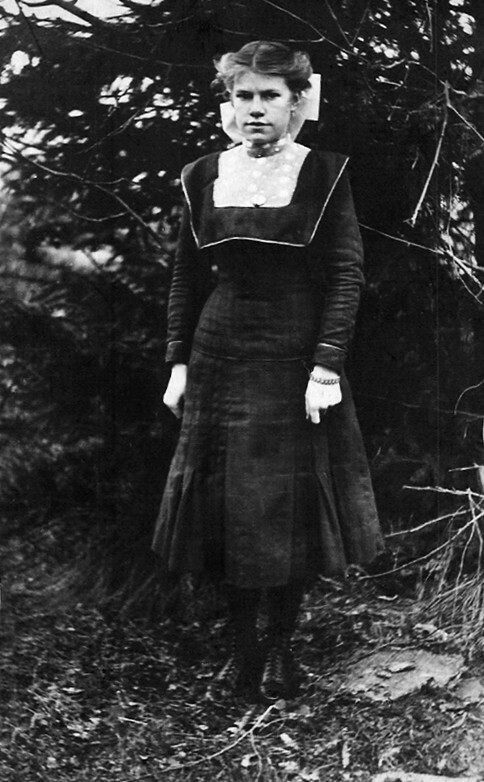 Annie Margaret Bowie was born March 4, 1907, in Ingersoll, Canada, and died Unknown. Francis Porter "Frank" Madden and Annie Margaret Bowie were married May 29, 1931, in Las Vegas, Clark Co., NV. Francis Porter "Frank" Madden and Annie Margaret (Bowie) Madden had no children. Francis Porter "Frank" Madden and Annie Margaret (Bowie) Madden were divorced before 1937 in Los Angeles Co., CA. Francis Porter "Frank" Madden and Marcia Edith (Dennis) Ashe were married about 1935 in California. Francis Porter "Frank" Madden then married Dorothy S. Unknown. Emil Helge "Edward/Ed" Bohlin and Lillian S. "Lilly" (Holm) Unknown were married April 24, 1937, in Los Angeles, Los Angeles Co., CA. Emil Helge "Edward/Ed" Bohlin and Lillian S. "Lilly" (Holm) (Unknown) Bohlin had no children. 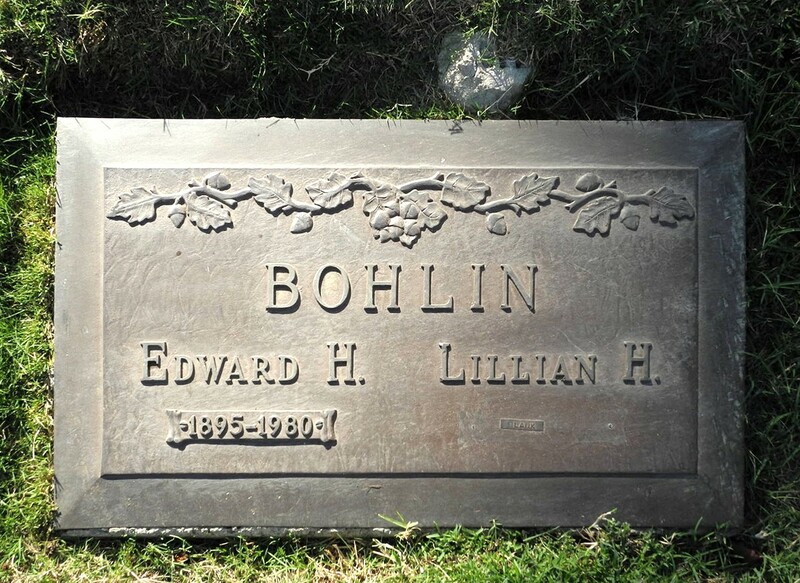 Emil Helge "Edward/Ed" Bohlin and Lillian S. "Lilly" (Holm) Bohlin are buried in Inglewood Park Cemetery, Inglewood, Los Angeles Co., CA. Thanks to Find-A-Grave for making this picture available. Leana Maria (Freeberg) Bohlin is buried next to her mother in Miles City Cemetery, Miles City, Custer Co., MT. Thanks to Find-A-Grave for making the grave image available. Lillian S. "Lilly" Holm was born October 6, 1892, in Los Angeles, Los Angeles Twp., Los Angeles Co., CA. Emil Helge "Edward/Ed" Bohlin was born May 12, 1895, in Vintrosa Parish, Örebro Co., in the middle of Sweden. Leana Maria Freeberg was born February 25, 1898, in Pompeys Pillar, Yellowstone Co., MT. Harriett Unknown was born Unknown. The 1910 U. S. Census taken on May 7, 1910, shows S. L. Freeberg (age 49) born in Sweden to Swedish-born parents is a Foreman at the Railroad and owning his house at 402 Center Avenue, 3rd Ward, Miles City, Miles City Twp., Custer Co., MT and married for 27 years. Living with him is his wife Hilda Freeberg (age 46) born in Sweden to Swedish-born parents with all 7 of the children born to her still alive. Also living at home are their children: Oscar Freeberg (age 25) born in Sweden and unmarried; Aimell Freeberg (age 14) born in Montana; Leanna Freeberg (age 12) born in Montana; Gladys Freeberg (age 9) born in Minnesota, Albin Freeberg (age 6) born in Montana. Also living there is their married son and family: Albert Freeberg (age 23) born in Sweden; his wife, Florence Freeberg (age 23) born in Minnesota to Canadian and New York-born parents. 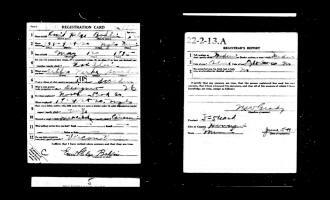 The 1910 U. S. Census taken on April 22, 1910, shows Carl Johnson (age 38) born in Sweden to Swedish-born parents having emigrated in 1900 and a naturalized citizen is an unmarried House Carpenter owning his house at 602 N. 42nd St., Precinct 61, City of Seattle, King Co., WA. Carl is also renting part of the building to about seven other families. 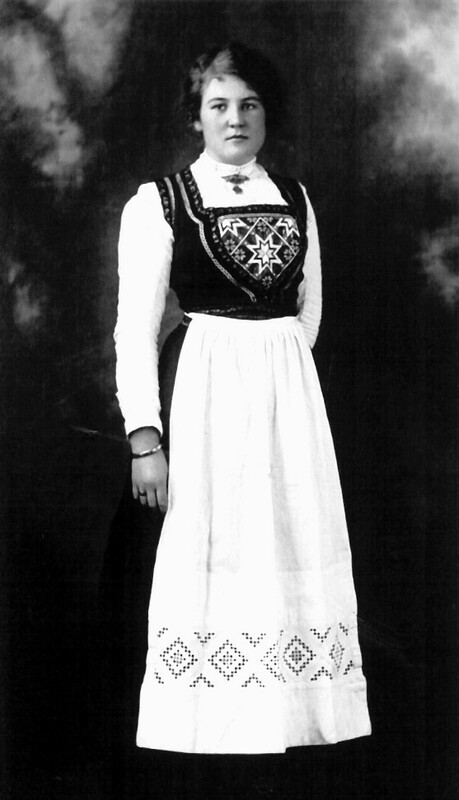 Leana Maria Freeberg, about age 12, on a postcard dated 1910. Leana Maria Freeberg, about age 17. 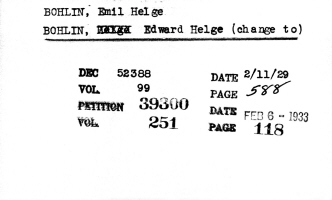 Emil Helge "Edward/Ed" Bohlin and Leana Maria Freeberg Marriage Record. On June 5, 1917, Emil Helge Bohlin born May 12, 1895, in Orbbro, Narke, Sweden, and living at 307 9th Street, Minneapolis, Hennepin Co., MN, is a Designer for Northern Products Company located at 18 4th Street, Minneapolis, Hennepin Co., MN. He is married and claims military exemption due to varicose veins. Lillian E. Bohlin was born September 5, 1917, in Minneapolis, Hennepin Co., MN. 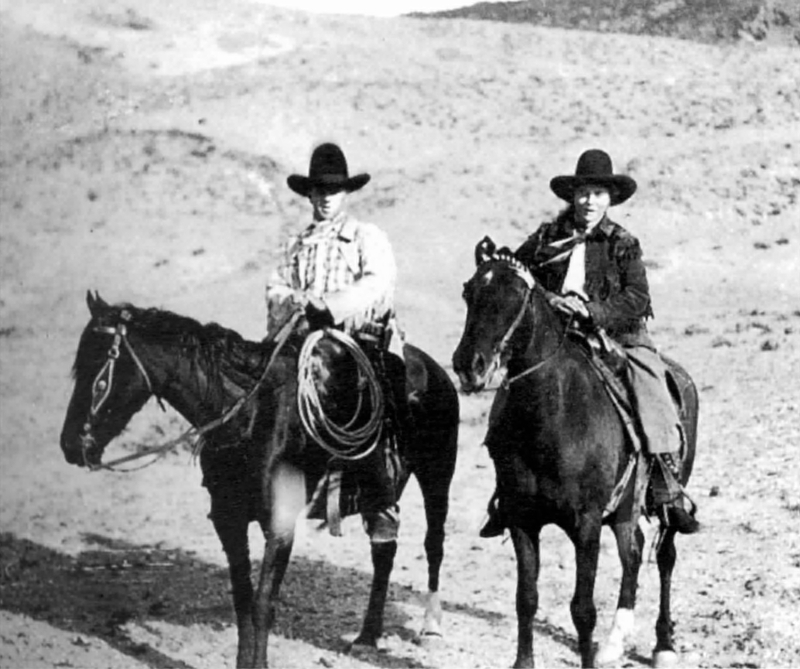 Emil Helge "Edward/Ed" Bohlin and Leana Maria (Freeberg) Bohlin, Cody, Wyoming, just before her death in 1918. Collection of William Reynolds. 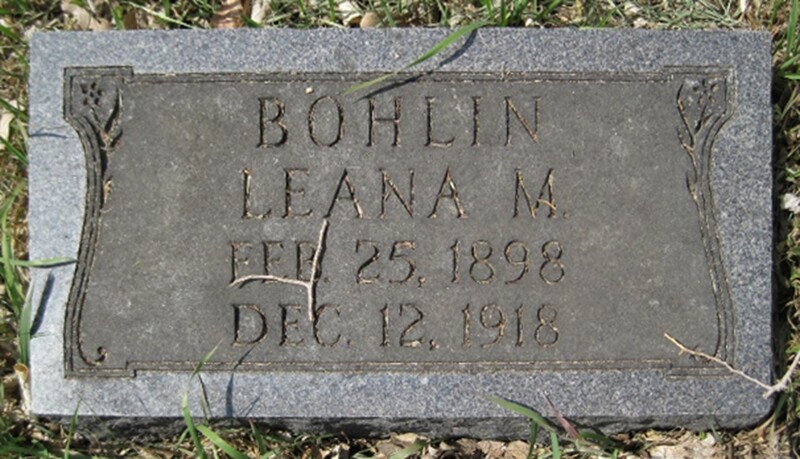 Leana Maria (Freeberg) Bohlin died December 12, 1918, in or near Cody, Park Co., WY, at age 20, due to influenza. 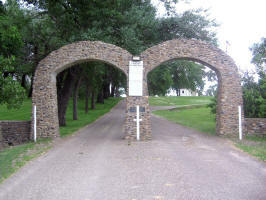 She is buried next to her mother in Miles City Cemetery, Miles City, Custer Co., MT. The 1920 U. S. Census taken on January 2, 1920, shows Carl Z. Johnson (age 48) born in Sweden to Swedish-born parents having emigrated in 1900 and becoming a naturalized citizen in 1911 is a House Carpenter owning his house at 602 N. 42nd St., Precinct 61, City of Seattle, King Co., WA. Living with him is his wife Alma C. Johnson (age 37) born in Sweden to Swedish-born parents having emigrated in 1900 and becoming a naturalized citizen in 1911. Also living at home is his niece: Lillian H. Bohlin (age 2-4/12) born in Wyoming to Swedish and Montana-born parents. Carl is also renting part of the house to another family. In late October 1920, Edward H. Bohlin opened a small shop in Cody, near the Irma Hotel. Emil Helge "Edward/Ed" Bohlin then married Harriett Sweem. Emil Helge "Edward/Ed" Bohlin and Harriett Sweem were married November 20, 1920, at The Manse, Cody, Park Co., WY. The relationship was brief. News Items That Are of General Interest to Our Local Readers. Marriage licenses were issued this week to Ed. Bohlin and Mrs. Harriet Sween of Cody and Chas. C. Thomas and Miss Minnie Ekstein of Frannie. The first named couple were married at the Presbyterian manse by the Rev. A. M. Shepperd. Ed. Bohlin and Harriett Sweem were united in marriage at The Manse Saturday afternoon last, the Rev. A. M. Sheppard officiating. The groom has recently entered the business field of Cody and has opened a shop opposite the Irma Hotel where he deals in leather and buckskin clothing and also conducts a saddle and chaps repairing business. The 1930 U. S. Census taken on April 8, 1930, shows Emil H. Bohlin (age 55) born in Sweden to Swedish-born parents and having emigrated in 1914 and with Pa citizenship a widowed Saddlemaker in a Saddle Shop who is renting his home for $45/month and is living alone in an apartment house at 6526 Selma Avenue, City of Los Angeles, Los Angeles Co., CA. 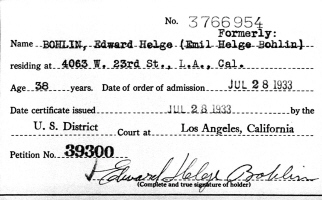 Emil Helge "Edward/Ed" Bohlin applied for U. S. Citizenship on February 11, 1929, and became a Naturalized U. S. Citizen on July 28, 1933, in U. S. District Court, Los Angeles, Los Angeles Co., CA. 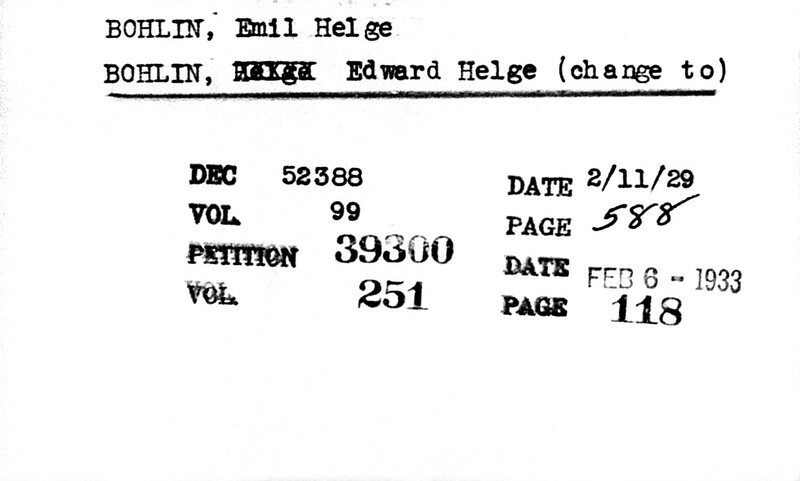 Emil Helge "Edward/Ed" Bohlin Citizenship Records. SAN FRANCISCO, Oct. 31 - Theft of a $500 silver-studded French telephone set and an $1800 silver-mounted saddle caused the arrest of five youths today. James Murphy was sentenced to a six-month County Jail term by Municipal Judge Alden Ames and Stanley Chessar drew a similar term for receiving the goods. Charges of receiving stolen property were continued against Robert Steele, William Hodges and Lezar Schepps. The telephone set and the saddle were stolen from the parked car of Edward H. Bohlin, Hollywood silversmith. 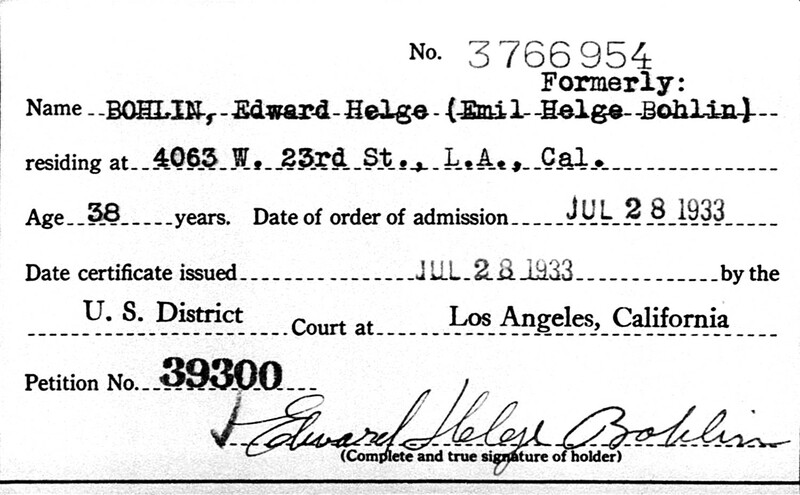 Emil Helge "Edward/Ed" Bohlin and Lillian S. (Holm) Unknown were married April 24, 1937, in Los Angeles, Los Angeles Co., CA. This was Ed's final marriage. Lilly brought her own estate to the marriage, which included significant family holdings. Emil Helge "Edward/Ed" Bohlin and Lillian S. (Holm) Unknown Marriage Record. Emil Helge "Edward/Ed" Bohlin died May 28, 1980, in Los Angeles, Los Angeles Co., CA, at age 85. Buried in Inglewood Park Cemetery, Inglewood, Los Angeles Co., CA. BOHLIN, Edward H. Beloved husband of Lillian H. Bohlin, father of Lillian Pinkerton of Seattle, WA. Survived by 1 sister Herte Malmsten of Sweden; 2 grandchildren and 5 great-grandchildren. Services Monday 11 am at Grace Chapel, Inglewood Cemetery. Pierce Brothers Los Angeles directors. Lillian S. "Lilly" (Holm) (Unknown) Bohlin died October 22, 1985, in Los Angeles, Los Angeles Co., CA, at age 93. Buried in Inglewood Park Cemetery, Inglewood, Los Angeles Co., CA. Necessity may be the mother of invention, but it took an artisan of practical experience and artistic vision to create the exquisite saddles and silver filigree that made Edward H. Bohlin the "Saddlemaker and Silversmith to the Stars." A long and winding road led Bohlin to his life's work. Born in 1895 in Sweden, Bohlin immigrated to America at the age of 17 just before the outbreak of World War I. Determined to make his mark here, he immediately applied for citizenship and made his way westward. He worked as a cowboy and ranch hand in Montana and Wyoming and first conceived the idea of making quality saddles of distinctive design. Drawn to Cody in 1917, Bohlin began working on a ranch owned by Buffalo Bill, and also worked at the Pitchfork Ranch owned by photographer Charles Belden. Between ranch jobs, Bohlin opened a leather shop in Cody across from the Irma Hotel where he began perfecting his skills working with leather and silver. He created several pieces for Belden, and his reputation as an artist and craftsman began to grow. Charles Josiah Belden (1887-1966) was born into a wealthy California family. His grandfather, Josiah Belden, was an early pioneer in California who made millions in San Francisco real estate. Charles was educated at the Massachusetts Institute of Technology. He first bought a camera in 1909 to record a tour of Europe he and his friend Eugene Phelps made in 1909. The main focus of the trip was the journey to Russia. Belden’s 1908 Packard was the first automobile to make such a trip in the country. After the tour, Belden joined Phelps at his family’s ranch in Wyoming. 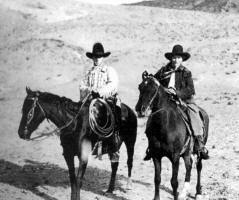 In 1912 Belden married Eugene’s sister Frances after working as a cowboy for a number of years. Charles and Frances had three children, Annice, Margot, and Mary Elizabeth, who died while still a toddler. In 1922 the Louis Phelps died leaving the Pitchfork Ranch to Charles and Eugene. The two, however, did a poor job of managing the ranch. Charles was more interested in photography and Eugene in tinkering with farm machinery. In 1940 Charles and Frances divorced. He moved to Florida with his second wife, Verna Steele Belden. There he died of a self inflicted gun shot wound in 1966. The Charles J. Belden Collection consists of approximately 3,000 negatives original negatives. Most of the images were taking in the 1920s and 1930s on the legendary Pitchfork Ranch near Meeteetse, Wyoming. Located at the base of the Absaroka Mountains, the 250,000 acre ranch provided fertile ground for Belden’s photography. By filming cowboys and cattle against the dramatic backdrop of the Rocky Mountains, he created some of the classic images of the American West. Belden used these photographs to publicize the Pitchfork Dude Ranch, to illustrate articles he wrote about cowboy life, and for marketing. Belden, however, was a versatile photographer and the collection contains a variety of images. These photographs depict everyday life on the Pitchfork Ranch, a trip to Europe in 1909, Yellowstone National Park, raising antelope, dude Ranching and trips to the Southwest and Latin America. His photography can be found in National Geographic Magazine and the Dude Rancher’s Association’s magazine the Dude Rancher. After spending a few years in Cody, Bohlin moved to Hollywood to learn more about the refinements of saddles and leatherwork in demand there. He entered show business as a trick rider and roper, hobnobbing with stars in the business, and appeared in several pictures before launching the career he was meant to carry out: fashioning distinctive saddles, silver and leather products. His leather business soon expanded to include saddles, spurs, and fast draw holsters. Bohlin's original designs incorporated gold and silver filigree used in combination with leather. His skill and artistry soon caught the eye of western movie idols such as Tom Mix and Gene Autry and a spectrum of sportsmen and horse enthusiasts with a cultivated eye for the efficiency and quality that distinguished Bohlin's impeccable design. His shop, the Edward H. Bohlin Co., located at 5760 Sunset Boulevard, clinched his reputation as the "saddlemaker to the stars". He never lost sight of the cowboys with whom he had lived and worked, however, and their need for sturdy, serviceable gear to take them through hard long days and nights on the range. In 1930, Bohlin expanded his business further by launching the Edward H. Bohlin Catalog. Filled with photographs of Bohlin's original designs, it featured saddles constructed using the finest saddletrees covered with heavy beef or bull hide. They ranged in style from the plain and serviceable to the luxuriously ornamental, with complementing bridles, breast collars, bits, spurs and spur straps. Personal accessory items such as bola ties, belts and three-piece belt sets, watchstraps, and hatbands carried the Bohlin three-color gold or gold and silver motifs that distinguished his design. A section set aside in the catalog entitled, "Western Clothing - The Bohlin Tailor Shop", carried the kind of western wear and accessories that became the hallmark of Hollywood movie stars. "Hand tailored on the premises" shirts, jackets, moccasins, and buckskin shirts, gloves and jackets were meticulously made to order. Patrons could order western clothing directly from the catalog or have their western wear custom tailored using particular fabrics and patterns. A selection of Stetson hats topped off Bohlin's clothing line. Additional items featured in the catalog included a silver plated telephone, leather picture frames with silver filigree adornments, and automobile hood ornaments. Featured last was the downright practical that included sweat scrapers, hoof picks, boot hooks, bootjacks, and saddle soap. Edward H. Bohlin, saddlemaker and silversmith died in 1980. His craftsmanship continues in the hands of skilled craftsmen and women using original dies from Bohlin's designs. Items are made one at a time as he created them himself, insuring that the Bohlin eye for "classic design, exquisite execution, and sense of timeless style and grace" will continue.